As part of the Inspiron 3000 series, the Dell Inspiron 3541 is an affordable laptop ideal for both home and office uses. The notebook, which is more or less like the Dell Inspiron 3542 packs a massive HD screen that offers room for multiple viewers to share at once. The Dell Inspiron 3541 sports a sleek 38.1cm (15inch) HD screen that is compact enough to carry along easily. Inspiron laptops are for reliability not just in the places where you expect it, but for the open road ahead. With just a glance at the design, the Dell Inspiron 3541 should be a reliable machine to a great extent, in spite of preference for plastic in its construction. It has a matte black finish and does not attract fingerprints on its body easily. At a thickness of about one inch and weight of 5.0 pounds, it has to be said we have seen thinner and lighter laptops, although mostly in higher price brackets. The Dell Inspiron 3541 is fitted with a 15inch diagonal display with a resolution of 1366 x 768 pixels. The LED-backlit screen has an optional HD Touch option. Graphics are handled by integrated AMD Radeon™ R-Series Graphics that provide incredible visual detail for your games, videos and photos. Users can type, swipe and scroll on your Inspiron (AMD) with an available HD display that makes interacting with your applications fun and easy. The Dell Inspiron 3541 usually comes configured with different types of processors ranging from AMD Dual Core, Intel Pentium Dual Core or Celeron Dual Core chip which help you edit videos, upload music and surf the web all at once – with minimal lag time. Alternatively, you may opt for one with 5th-generation Intel Core i3 or Core i5 processor models. The speeds of these CPUs range from 1.3GHz to 2.7 GHz. Graphics are handled by integrated AMD Radeon™ R-Series Graphics, Intel HD Graphics and optional NVIDIA GeForce 820M dedicated video card with 2GB DDR3 memory for efficient performance to help you accomplish what you need to, when you need to. The System memory of the Inspiron 3541 comes with either 2GB or 8GB. Dell Inspiron 3541 is pre-installed with Windows 8.1 operating system, which uses a 500GB or 1TB hard drive for storage. For collaboration and entertainment, an HD (720p) webcam, a microphone and stereo speakers with Waves MaxxAudio are provided. You can save plenty of photos, videos and music with up to 1TB hard drive. The built-in media card reader makes it easy to transfer videos and photos from your camera while three USB 3.0 can transfer data up to 10 times faster than USB 2.0 to external storage. The built-in full-size HDMI port allows you to plug into an external display to see your images and video on the big screen. It also supports Bluetooth 4.0 and Wi-Fi 802.11 b/g/n. You can burn your favorite playlist, watch movies and load software with an available built-in DVD drive in the Inspiron 3541, easily store high volumes of data on your DVDs for file archiving, or access new applications quickly. Turn up the heat: Dell Inspiron 3541 was tested from locker rooms to locked cars for survival in harsh short-term heat conditions of up to 65°C/149°F. Everything hinges on it: Inspiron 3541 laptop hinges had been tested to ensure they still feel tight, even after opening and closing the lid over 20,000 times. Keys to success: over 10 million keystrokes and 1 million touch pad buttons had been tested with no failure. So go ahead, finish your novel. Twist and turn: the Inspiron laptop’s base and lid had been twisted with more than 25,000 times with no problem. Always a good fit: You’ll probably never need to remove and reinstall your Inspiron’s battery 30 times, but it has been tested over 30 times with no fault. 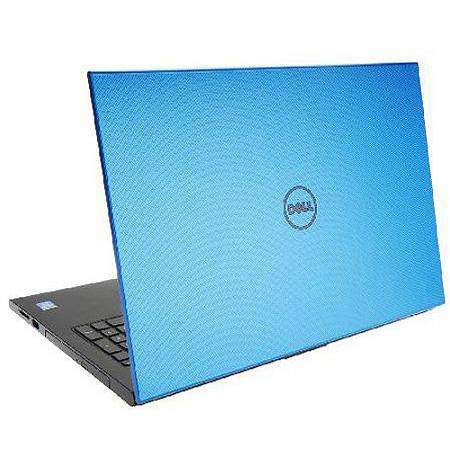 Dell Inspiron 3541 laptops are available in Nigeria, you can buy them at leading online stores in the country. Dell Inspiron 3541 price in Nigeria starts at around N54,000, depending on your location and the configuration of the laptop. Price level Dell Inspiron 3541 laptops are available in Nigeria, you can buy them at leading online stores in the country. Dell Inspiron 3541 price in Nigeria starts at around N54,000, depending on your location and the configuration of the laptop.Join us on Facebook or Twitter now to get first hand updates from us !! !